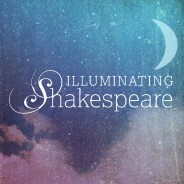 Illuminating Shakespeare brings together the very best Shakespeare resources old and new from across Oxford University Press. Explore a new theme every month, with free content for every level from school to scholarly research. In 1623, one kilogram of tobacco was roughly five times more expensive than Shakespeare’s newly published First Folio. The entire collection, which cost only £1, contained thirty-six of his works, many of which incorporate 16th- and 17th-century notions of status, wealth, and money. Most of his characters are garbed in colors and fabrics befitting their social standing, and he frequently presents foreign currencies alongside English coins. So how do the rich and poor fare in Elizabethan England? Explore the infographic below to discover the coins, dress, and literacy of Shakespeare’s world. Download the infographic as a PDF or JPG. 2016 is the 400th anniversary of Shakespeare’s death, and to mark this event, Oxford University Press has launched a new hub showcasing the tremendous depth and diversity of our Shakespeare publishing, for every level from school to scholarly research: Illuminating Shakespeare. Every month through to December 2016 the Illuminating Shakespeare website will present a new theme, with video essays, blogs, interactive content, and a range of resources from our online scholarship and journals. Excellent–thanks! Just one question. You give estimates of literacy from 1580-1700, a period of 120 years when literacy rates were rising. I gather they were closer to 20% or less for the entire population in 1580. You give a 90% literacy rate for merchants. I believe it was much lower in 1580, since merchants needed numeracy, but only basic literacy, in their work. Dr Waugaman, in his ongoing quest to separate Will Shakespeare from the credit for his work, here fails to separate traders from merchants in an attempt to devalue 16c England’s literacy and squeeze Shakespeare into the tent with the illiterates. The problem with being unable to separate things into their correct categories (Dr Waugaman frequently struggles with fact and fantasy, for example) becomes acute when totally unqualified people start to play around with more advanced taxonomies, like authorship attribution in the Early English Professional Theatre. Or Elizabethan businessmen. Sticking to his merchants, they were businessmen needing to make profits from relatively complicated operations. Businessmen, traders (and those trying to draw conclusions about their literacy) all need to understand the threshold of breakeven. It’s easy if you are a day trader. If you buy 100 pence worth of potatoes. Once you have 8/5d in your cashbag to take home, you are past the breakeven point. Not so easy, if like a typical Elizabethan merchant, you need to borrow at 5% to invest in manufactured products like paper from France, silk from China or pepper from the Indies. You now need to calculate how much interest will accrue before you get you your goods, how long they will take to sell, where your markets are and how much credit you can afford to offer to your customers. You might even have adopted the newfangled Italian practice of double entry bookkeeping to balance your books and ensure they are correct. So Dr Waugaman’s idea that Elizabethan merchants could get by understanding the figures on the right hand side of their ledgers without a clue about the descriptions of the assets debits is just another childish fantasy insufficiently researched and poorly thought through. Shakespeare was an actor, a businessman and a playwright. Of course he could read.